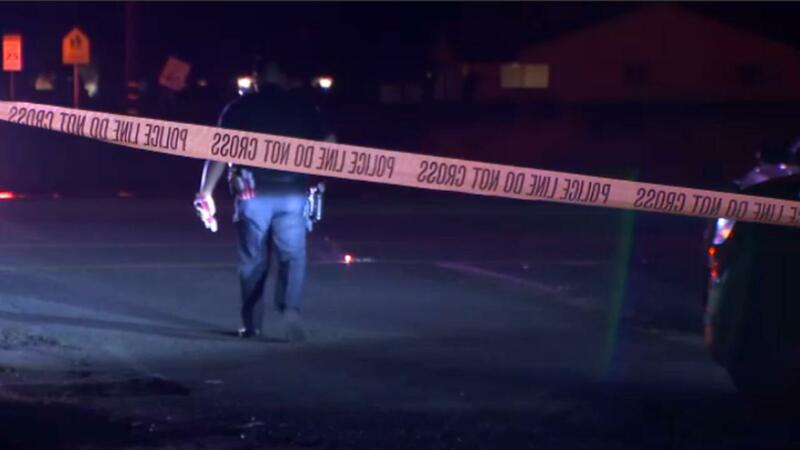 FRESNO, Calif. (KFSN) -- Police are looking for the gunman who shot and killed a man in west central Fresno. Officers found evidence of a shooting in the area of Clinton and Valentine just after midnight Sunday morning, but they couldn't find a victim. At about the same time police received reports of a man with gunshot wounds at an apartment complex about a mile away. Investigators say the victim, identified as 39-year-old Gerald Wharry, was still in his car and pronounced dead at the scene. "Based on the evidence -- the vehicle has several holes in it -- I can't tell exactly what happened," said Fresno police Lt. Charlie Chamalbide. "But it looks like he was in the vehicle when he was shot." Officers say they're having trouble getting cooperation from the victim's family. They believe the shooting is an isolated incident. They closed down the area where the shooting took place for hours Sunday morning while they searched for clues in the dark.